Thanks to Champagne Cyclist Bjorn for putting us on to this site. 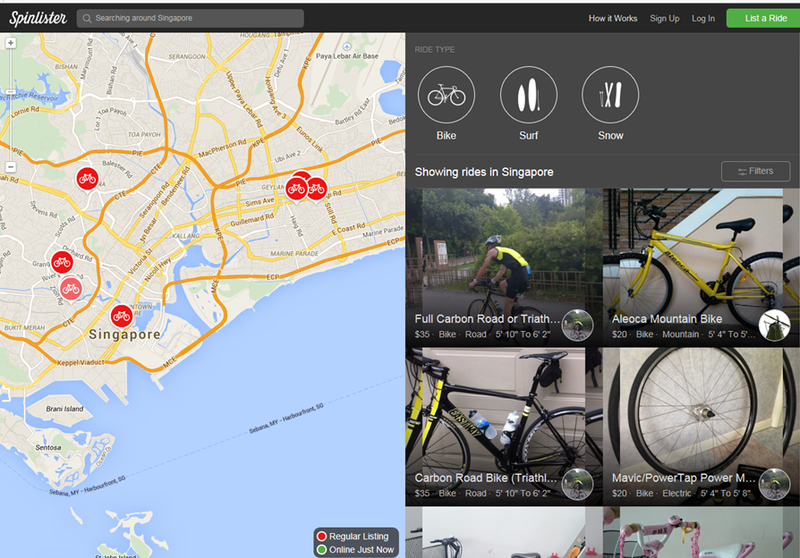 As a natural global business hub, we get a lot of visitors passing through Singapore & a very common request to the ANZA Committee is “where can I rent a bike”. I probably get at least 1-2 requests every week & I’ve been passing them on to Bike Butler and BikeHaus which were the only 2 options that I was aware off. Bjorn mentioned that he’d used a site called SpinLister when travelling overseas & it sounded like an awesome concept. 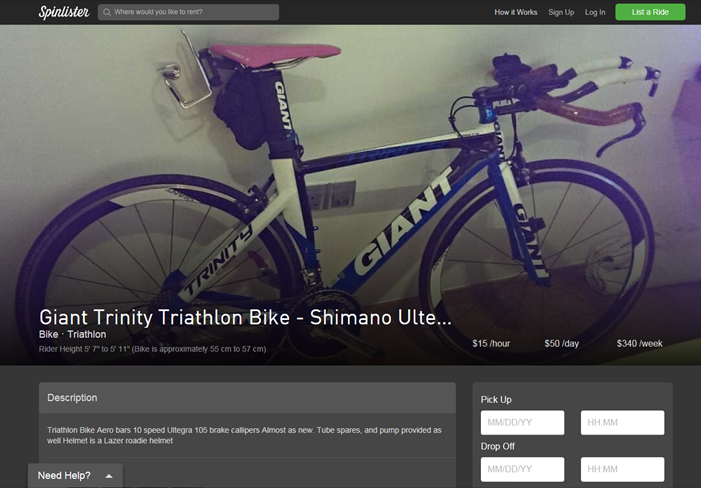 Its like airBnB – but for bikes (and surf/snowboards too but we’ll ignore that as they’re not real sports). Options in Singapore look quite limited currently but it seems like an easy way to make money from those 5 bikes sitting unused in your 2nd room. More importantly it’s a chance to give something back to the cycling community and help those in desperate need of a ride to get out and see more of the real Singapore. Simply type in the city where you’re visiting and browse the map to find something near your hotel. Choose the bike of interest and book it for a day, days or a week. Prices are very cheap and it makes me wonder how a company like this can ever make money/survive. Help keep them alive. Stick your spare bikes on there & give them some business next time you’re traveling – its cheaper and less hassle that excess baggage charges.